On a small and isolated island in the Indian Ocean you’ll find an endemic population of Dragon Blood Trees (Dracaena cinnabari). Burly, with an interesting umbrella-shaped fractal canopy, these unique trees are a sight to behold. 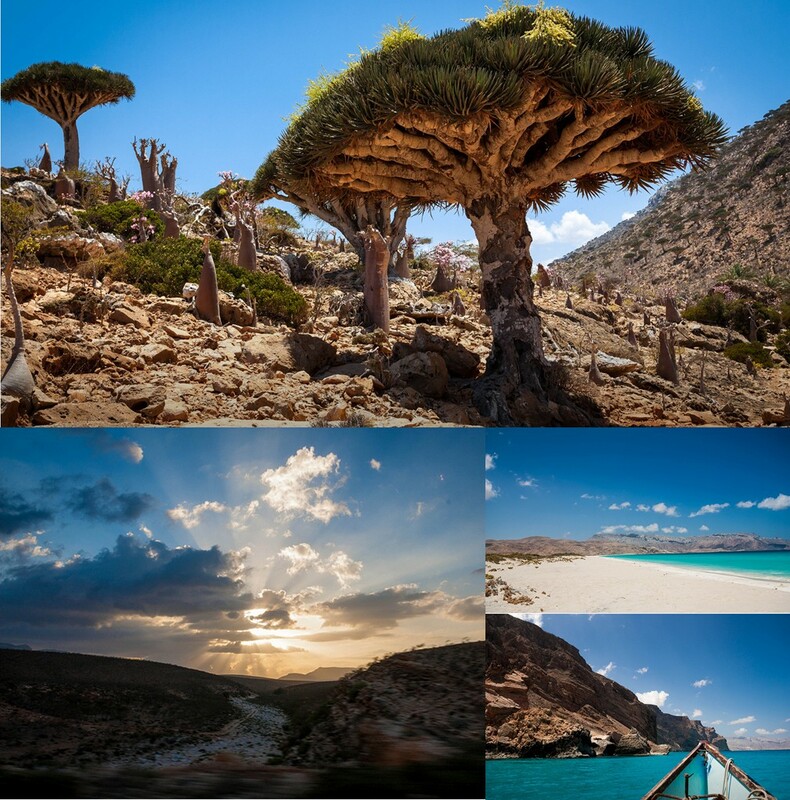 To see them for yourself, you’ll have to travel to the little known Socotra archipelago. Off the coast of Somalia, but belonging to Yemen, the group of islands boast an impressive assortment of endemic plant life, making them know as the ‘Galapagos of the Middle East’. Crucial to the uniqueness of the flora and fauna of the archipelago is Socotra’s geographical position and how it came to be there. The African plate extends out from the Horn of Africa, east of the Guardafui graben, in what is known as the Socotra Platform. Here you’ll find four islands, of which Socotra is the largest, as well as two scars of former islands which have been eroded away by wave action. At in excess of 240 kilometres east of the Horn of Africa and 380 kilometres south of the Arabian Peninsula there is no getting away from the remoteness of the archipelago. Testament to this is the presence of seven endemic bird species on the island. So how did the strange looking Dragon Blood Tress and other flora and fauna come to populate Socotra and its neighbours? It is thought that until 43 million years ago, the Socotra archipelago remained largely submerged. Although there were some brief emergence events during the Jurassic/Cretaceous and Cretaceous/Tertiary, given the area was re-submerged after this time, they are considered of little importance. Subsequently, Socotra Island continued to grow due to uplift. Despite changing sea depths, there are indications that land species could migrate over from mainland African and Arabia via land bridges and stepping stones. With ‘cousin’ species present in Somalia and Arabia, it’s likely the Dragon Blood Trees originated there in the distant past. From 16,000 years ago onwards, the isolation of the archipelago grew due to a combination of further flooding of low-lying areas, the formation of large basins (namely the Guardafui and Brothers basin) and increasing distance from the mainland. Since then, the species on Socotra and its neighbouring islands have had time to evolve and adapt to their surroundings, become different, albeit sometimes closely related, to their continental counterparts. It was only around the third century BC that Socotra started to emerge from its isolation after attracting the attention of the young Alexander the Great during one of his war campaigns. The island then became known in the Hellenic World and all the Mediterranean for being one of the main sources of incense, myrrh and dragon’s blood powder resin. As Socotra commercial importance gradually faded away in the centuries to follow, Dragon’s Blood resin remained one of the main exports of the island. The resin was considered a precious ingredient of dyes, lacquers and varnishes, and the legend has it that Antonio Stradivari – the famous seventeenth century luthier from Cremona – used Socotra’s red resin to varnish his violins. The landscape of the Socotra archipelago. Credit: Annalisa Molini via Flickr. 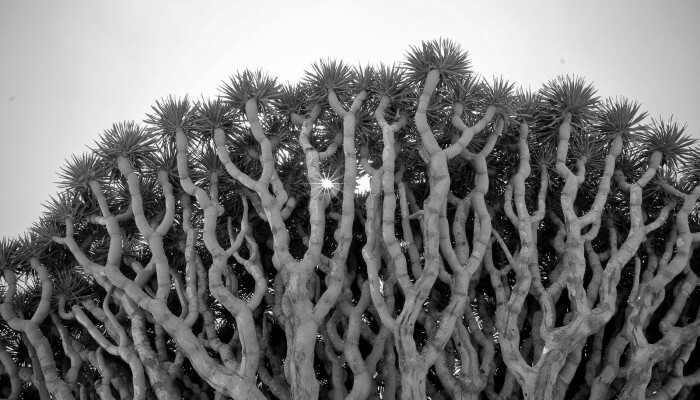 One thing is for sure, as Annalisa Molini’s (Assistant Professor at the Institute Center for Water and Environment, in Abu Dhabi), photographs attest to: Socotra island and it’s Dragon Blood Trees are stunning. However, the remoteness of the Socotra archipelago and the current armed conflict in Yemen threaten to put at risk the island’s important and unique natural heritage; one that no doubt, should be protected and preserved. Brown, B.A. Mies, Vegetation Ecology of Socotra, Springer Netherlands, Dordrecht, 2012. doi:10.1007/978-94-007-4141-6.